Alan Wedel Ramsay McNicoll was born on 3 April 1908 at Hawthorn, Melbourne, second son of Victorian-born parents (Sir) Walter Ramsay McNicoll, civil servant, and his wife Hildur Marschalck, née Wedel. Raised at Geelong, Alan attended Scotch College, Melbourne, and, after the family moved to Goulburn, New South Wales, Scots College, Sydney. In 1922 he entered the Royal Australian Naval College, Jervis Bay, Federal Capital Territory, as a Cadet Midshipman, graduating in 1926 with excellent scholastic and sporting results. In professional courses in Britain he achieved first-class results. From 1930 to 1933, during which time he published 'Sea Voices', a small book of poems on naval life, McNicoll served in cruisers of the Australian Squadron. He then completed torpedo specialist courses in Britain and in 1935 joined the new cruiser HMAS Sydney as torpedo officer. On 18 May 1937 he married Ruth Timmins at St Stephen’s Church of England, Gardenvale, Melbourne. Promoted to Lieutenant Commander in 1938, McNicoll was posted the following year to Britain as an instructor at the Royal Navy’s torpedo school. Soon after the outbreak of World War II he joined the cruiser HMS Fiji, which was torpedoed on 1 September 1940 and barely made harbour. His next posting was to the submarine depot ship HMS Medway at Alexandria, Egypt, where, beside his torpedo duties, he was frequently involved in rendering enemy ordnance safe. He was awarded the George Medal in 1941 for removing inertia pistols from badly corroded torpedoes taken from a captured Italian submarine. In 1942-44 McNicoll served in the battleship HMS King George V, in the Admiralty, and on the planning staff for the 1944 D-Day landings in France. Promoted to Commander in 1943, he returned to Australia in 1945, becoming Executive Officer of the cruiser HMAS Hobart with the British Commonwealth Occupation Force in Japan. He was promoted to Captain in 1949 and successively commanded the 1st Frigate Squadron in HMAS Shoalhaven and the 10th Destroyer Squadron in HMAS Warramunga. McNicoll was appointed CBE (1954) for his involvement in the British atomic bomb tests at the Montebello Islands off Western Australia in 1952. Two years later when in command of the heavy cruiser HMAS Australia, he rescued a Dutch naval ship in difficulties off Hollandia, Netherlands New Guinea (Jayapura, Irian Jaya), for which he was appointed to the Order of Orange-Nassau in 1956. McNicoll’s marriage had ended in 1950. Marked for senior command, he attended the Imperial Defence College, London, in 1955. On 17 May 1957 he married Frances Mary Chadwick, a journalist, at the registry office in Hampstead, England. 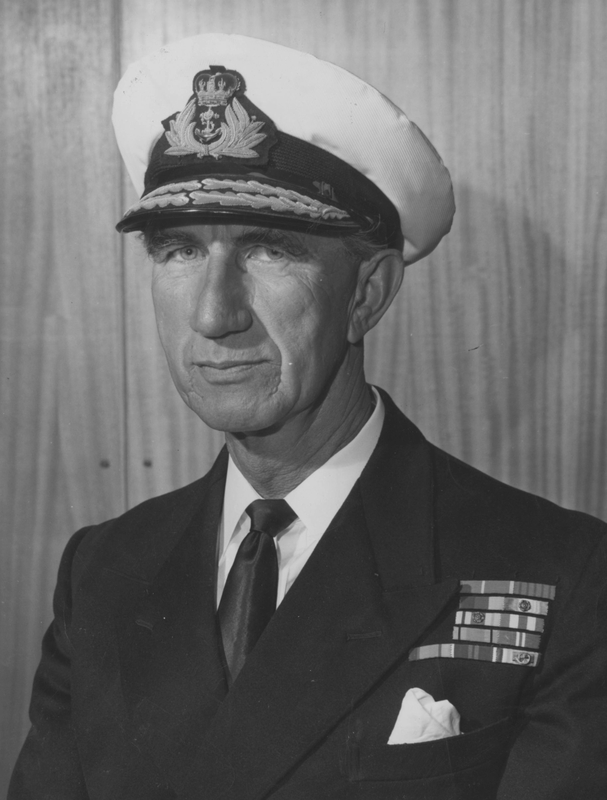 Appointed as head of the Australian joint service staff and made an Acting Rear Admiral in 1957, he returned to Australia in 1958 as Deputy Secretary (Military), Department of Defence, and Chairman of the Joint Planning Committee. That year he was promoted to the substantive rank of Rear Admiral. Becoming second naval member of the Naval Board in 1960, he was responsible for personnel matters at a time when recruiting and retention were lagging. He was posted as flag officer commanding the Australian Fleet in January 1962. The RAN was about to implement major changes in its structure and order of battle. Commitments to the South East Asia Treaty Organisation and the Far East Strategic Reserve kept the fleet busy, and during McNicoll’s term as fleet commander he successfully organised the acceptance and deployment of new minesweepers, modern anti-submarine warfare ships and helicopters, and afloat support capabilities. In January 1964 he returned to the Naval Board as chief of supply. Following the collision of the destroyer HMAS Voyager with the aircraft carrier HMAS Melbourne in February, the Spicer royal commission removed the investigation from naval control, and subjected the Naval Board to unprecedented and unwelcome public scrutiny. McNicoll was posted to the somewhat less exposed position of flag officer-in-charge East Australia Area in June. However, when the term of Sir Hastings Harrington as chief of naval staff was cut short, McNicoll was promoted to Vice Admiral and appointed in his place in February 1965. He was appointed CB that year and KBE in 1966. Vice Admiral McNicoll aboard HMAS Perth off Vietnam, circa February 1968. 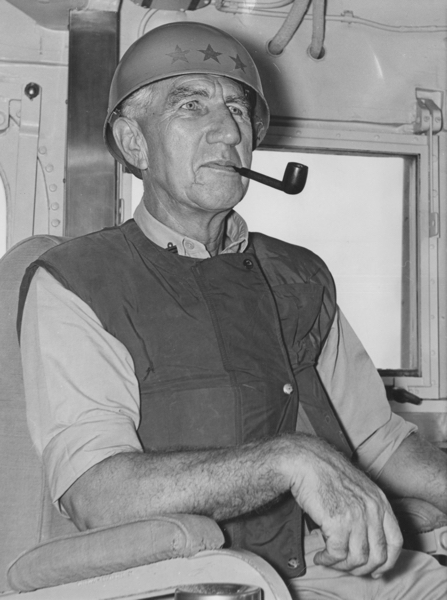 McNicoll inherited a three year naval program with which he did not agree, and had to work hard to correct its omissions. The drawn out agony of the first and, in 1967-68, the second Voyager royal commission continued to damage public perception of the RAN and its senior leadership. Indonesian ‘Confrontation’ with Malaysia demanded high commitment from the RAN, and the Vietnam War required a naval response that could not be met until 1967. The arrival of new classes of British designed submarines and American built guided-missile destroyers brought challenges in tactics, manpower, training, logistics and technology, and the fate of fixed wing aviation in the RAN hung in the balance. There were also many personnel issues to be resolved. McNicoll managed all these actual and potential crises with common sense, attention to detail, charm and acute perception of the tides of opinion. Both the Oberon class submarines and Adams class destroyers became successes, a new class of patrol boats was commissioned, the Fleet Air Arm was re-equipped with American aircraft, and the RAN commitment of destroyers, clearance divers and helicopter units to Vietnam enhanced its strategic and tactical development. The visible legacy of McNicoll’s tenure is the Australian White Ensign, which replaced that of the Royal Navy in March 1967. Retiring from the RAN in 1968, McNicoll was appointed Australia’s first ambassador to Turkey. As well as the physical difficulties of opening a new embassy, he had to contend with a lack of knowledge among people in both Canberra and Ankara of each other’s society and values. Despite these and other challenges he established a firm basis for cordial relations between the two countries. Returning to Australia in 1973, McNicoll spent his remaining years out of public life. He indulged his interest in the arts, and in 1979 published his translation of The Odes of Horace. He died at Canberra on 11 October 1987 and was cremated. McNicoll was survived by his wife and the son and daughter of his first marriage.